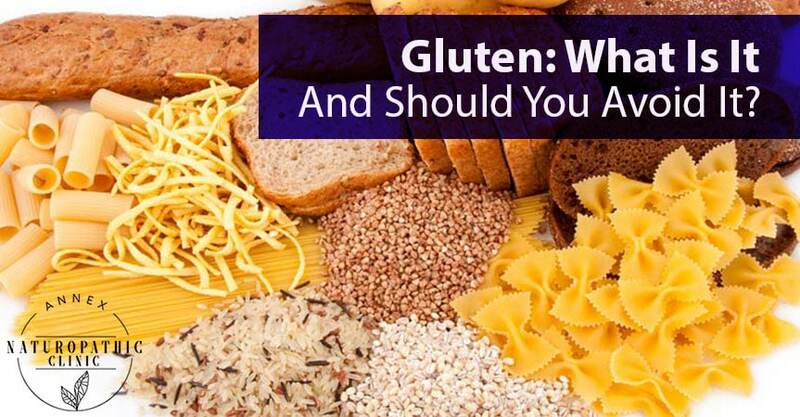 Gluten: What Is It And Should You Avoid It? If you've been reading or watching the news surrounding health and diet in the past few years, chances are you've heard of gluten. More than likely, you've heard about the wonders and miracles that come about from having a gluten-free diet. But what is gluten, and what exactly does it do to your body? Discover the truth about gluten and your digestive system below. Gluten is the part of many grain products that gives them the chewy texture that many people enjoy, as well as giving products like bread the ability to rise when baked, providing the airy, fluffy texture. It acts as a binding agent as well, holding the bread together. gluThis is why gluten-free breads tend to be a bit crumblier than their gluten-filled counterparts. Gluten actually refers to a family of proteins in these grain products, rather than a singular one. 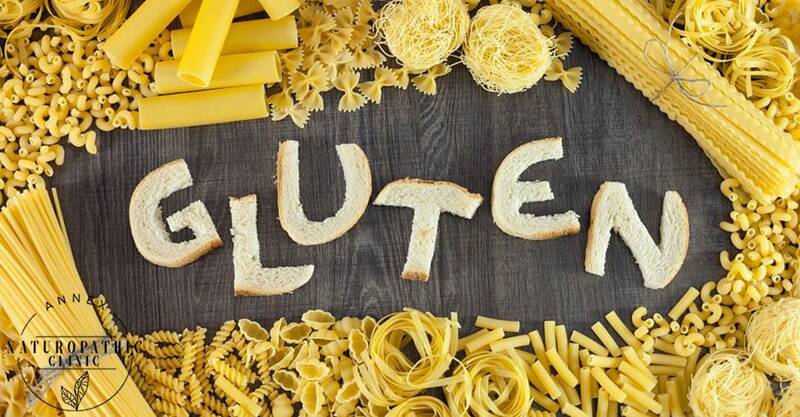 Glutenin and gliadin are the main proteins found in gluten, of which gliadin is mainly responsible for many of the negative side effects reported for consuming gluten products. Gluten is found in grains such as wheat, rye, barley, and spelt. This means that many foods considered staples in our diet contain gluten, like our morning toast, our pasta for lunch, and even that beer we had with our dinner. Seemingly, these days almost every part of our diet has gluten in one way or another. But the important question is, does this pose a problem? For a portion of the population, this seems to be the case. Although it's generally a good idea to avoid gluten in your diet, certain parts of the population need to be more careful than others. For the unlucky ones, there are varying degrees to which gluten can wreak havoc on your body and its many systems, such as the digestive system, immune system, and cardiovascular system. The following describes the different ways your body might react negatively to gluten. Celiac disease is the most severe reaction your body can have to gluten. Celiac disease happens to fall in the category of autoimmune disorders, which essentially means the body's immune system starts to attack other parts of the body because it mislabels them as foreign invaders. In the case of celiac disease, gluten acts as the trigger to this attack response, and the immune system works systematically to destroy the gluten, with the lining of the gut being collateral damage. Damage to the intestine can result in a loss of ability to absorb nutrients from the food you eat, which leads to nutrient deficiencies, anemia, chronic diarrhea, weight loss, severe digestive issues, and an increased risk for many other conditions. Unfortunately, many individuals might not even know they have celiac disease until the damage has already been done, as common symptoms in earlier stages are similar to regular indigestion, such as discomfort, bloating, and constipation. Before you panic, you may have these symptoms without actually having celiac disease. Non-celiac gluten sensitivity is a condition that presents itself similarly to celiac disease but does not involve an autoimmune response. This means that there is less damage done to the gut or intestinal lining; however, consuming gluten while having this condition can still result in painful symptoms like abdominal pain, constipation, and diarrhea. For some individuals, any digestive problems following eating gluten products might simply be an allergy to wheat. Since celiac disease and non-celiac gluten sensitivity are harder to diagnose, you might first consider the possibility of a wheat allergy if there are consistent digestive problems after you eat food with gluten in it. Although irritable bowel syndrome, or IBS for short, is not caused by gluten, there are studies that show a benefit in eating a gluten-free diet for those suffering from the condition. More specifically, there are certain variations of IBS that may benefit from a gluten-free diet, so the strict nature of eliminating gluten may sometimes present itself as the best option. Some problems with gluten intolerance can present themselves on the outside of the body as well. One of the most obvious examples of this is dermatitis herpetiformis, which Reunala best described in the journal Annals of Medicine as celiac disease of the skin. Dermatitis herpetiformis is characterized by a blistering rash that appears after consumption of gluten. Unfortunately for people with this condition, digestive problems indicative of celiac disease can also occur in concurrence to the skin problems. On the bright side, due to the visible nature of this condition, you are more likely to notice immediately that the reaction you are having is more than just simple indigestion. As you can see, many, if not all, of the conditions that involve having to be careful around gluten have similar symptoms. Here at Annex Naturopathic, we've treated a number of patients with digestive health concerns, with gluten intolerance being only one of the many concerns commonly treated. If you're unsure of whether or not you may have one of these conditions, or even if you're simply unhappy with your digestive health, contact us at Annex Naturopathic.